What Should We Do With Mesut Özil? Cast Your Vote Here! There is no player in the Arsenal squad that divides opinion more than Mesut Özil. Some people think he’s lazy, others think he’s under appreciated – it’s hard to know what to think of him. On one hand he is capable of doing things no-one else can do with a football – and that is no exaggeration. I can’t think of anyone else who can see a pass like this guy. In terms of vision, execution and delivery he is a one off. He is consistently top of all the assist leader boards, and has been for the last few seasons. He was a massive part of Germany winning the World Cup in 2014 and has won honours with Real Madrid and Arsenal. On his day, he is unplayable. But on the other he is frustrating. We all know he is capable of 10 out of 10 performances but they don’t come often enough. The problem is he isn’t like Messi, Ronaldo or even Neymar – players who earn huge money but can in the blink of an eye pull off something special – score from a free-kick, lash one in from 30 yards, take on 3/4 players and score – basically inspire the team when the going gets tough. If Arsenal are having a bad day at the office, then so is Özil. The problem now is Emery is (quite rightly) a manager who expects certain things from his players. If we want to support the new manager and want the club to move forwards then the players have to adapt. We’ve seen a marked improvement from players like Granit Xhaka, Hector Bellerin, Alex Iwobi and others, yet some like Özil have been left behind. The other big problem is the size of Özil’s wage packet. He’s on superstar money and according to various sources the second highest paid player in the Premier League. As you can see Manchester United, unsurprisingly, have some mega stars on their books, which makes sense as they are constantly at the top of the richest football clubs in the world. City have a few names in there, which also doesn’t surprise anyone and we also have Aubameyang on high wages, as he was cheap from Dortmund and to his credit, he keeps scoring goals. But to have Mesut Özil as the second highest earner in the entire league is just ludicrous! And he’d be the highest earner if we didn’t balls up the whole Alexis Sanchez situation and kept him at the club (which for the record, we should have). Arsene Wenger did many great things at Arsenal but giving Özil a truly astonishing pay rise was crazy. The money would have been far better spent trying to keep Alexis Sanchez (who was our best player by a mile) as well as trying to hold on to Aaron Ramsey. The issue now is finding another club who would be stupid enough to pay Özil that kind of money. The only way Arsenal could find a willing buyer would be to drastically reduce the fee for the player – so a footballer who is probably worth around £45 million in the current climate is probably only worth around £20 million now, and that’s if we’re lucky. But what do you think we should do with Özil? Keep him? Sell him in the summer? Sell him now? Cast your vote below and leave your thoughts in the comments section! Hate The International Break As Much As I Do? Here’s My Ingenious Solution! It breaks up the Premier League campaign, when all I care about is watching and following Arsenal. Because our squad is full of International players, it is inevitable that we will pick up injuries. And even if they don’t come back injured, then they’re shattered from flying half way across the world. England will never win anything anyway. English footballers are some of the most overrated and over pampered footballers going. The British media make out they’re world beaters and then they get found out against so called “weaker” International sides. England play some of the most boring football known to man. I don’t even watch them any more because it is less interesting than watching paint dry. 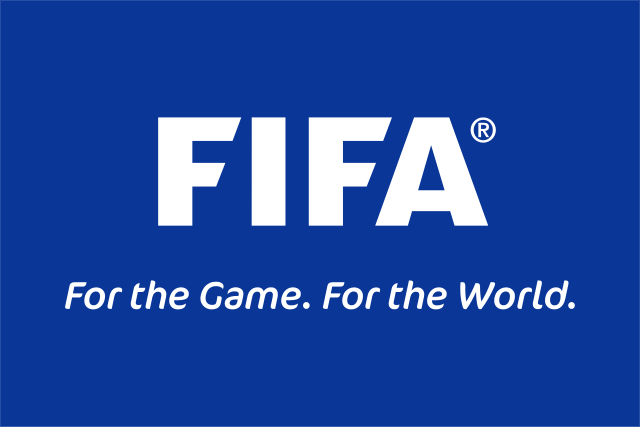 International football just funds the corrupt organisation that is FIFA and Sepp Blatter. Football is a global sport and International football isn’t as important as everyone makes out. Then we have the arguments about which player should play for which country. We have ex-Arsenal man Eduardo, who is Brazilian, Deco was the same but played for Portugal, and most of the World Cup 98′ winning France squad weren’t really French – but what is French? You had Zidane (Algeria), Vieira (Senegal), Desailly (Ghana), Pires (Portugal), Djorkaeff (Armenia) and Henry and Thuram could be classed being from Guadalupe. Personally, none of that bothers me and if you qualify to play for a certain International team then good on you I say. Plenty of Welsh, Irish and Scottish players were basically English. How Tony Cascarino ever played for the Republic of Ireland I’ll never know. But I’m not completely oblivious to the demand of International football. People do like it (for some reason) and I admit, I do get caught up in the hype surrounding the World Cup and European Championships. What I would like to see, is a complete overhaul of International football. In the summer, the years we don’t have a World Cup or European Championships, we should just have all of the qualification group games played within a 2 month period. There would be no distraction to domestic league campaigns, and no backlash from the Football Associations of different countries. And more importantly, it would capture the imagination of the fans again. Obviously it wouldn’t be like a proper World Cup or European Championships, but having a qualification tournament in the summer would allow the fans to get completely behind their team without this ridiculous situation where domestic and International games are mixed together. And furthermore, there wouldn’t be arguments from International managers and club managers about injured players, blah blah blah. Really, FIFA should sign me up now, I’m a genius. The new captain gave a commanding performance and made 3 important saves in the opening 15 minutes, when Manchester City are irresistible. Was vocal to the players in front of him but with a make-shift back four he had a tough task. Couldn’t do anything with either goal, both of which were well crafted by Manchester City as they ran our defensive line ragged. Supported the attack well whenever we did manage to get forward and probably had our best chance when Maitland-Niles played a sweeping ball across from the left and Bellerin did well to mug off Mendy and smash in a shot from close range. Once of those chances which you hoped went towards the far corner but ended up going straight at the keeper. Will be interesting to see how much competition Stephan Lichtsteiner can give him this season. Usually a liability but put in a decent performance today. Not many defenders will cope with the Manchester City attack but was well organise alongside new signing Sokratis and made a couple of important tackles. Central defensive is a position we’re a bit light so Arsenal need him to have a consistent season. A tough introduction into Premier League life but he will get better. Tough to really evaluate his performance as he was run ragged like most of the team at times but didn’t seem out of place. Was given the run around from Riyad Mahrez and Kyle Walker for the first half an hour before going off injured. Despite that, was full of running and never gave up, which is all you can ask for from a central midfielder asked to play as a full back. Didn’t impose himself on the game and went missing for large parts of it. He is a player who doesn’t seem to know what his responsibilities are and it shows. Is he a ball winning midfielder or a ball playing one? Well he did neither and was vastly overshadowed by his considerably younger counterpart. Should be the one to make way once Lucas Torreira is fully fit but have a sneaky suspicion he won’t. Considering his experience (or lack thereof) he put in a really excellent performance in this afternoon. He was composed, committed and won more tackles in central midfield than I’ve seen over the last few seasons. Clearly once Lucas Torreira is fully fit then he will be a guaranteed started but on this evidence Guendouzi will be the man to partner him in midfield, not Granit Xhaka. Has put in better performances in an Arsenal shirt and was disappointing today. Perhaps asked to play a role he’s not used to, having to track back on the left hand side – and was unable to give the young Ashley Maitland-Niles adequate cover on that side. Although the caveat being most teams would struggle against Kyle Walker and Riyad Marhez / Bernado Silva. Did Özil have a late night? His passing was off, his vision was off, and his all round performance was off. Seemed to lack concentration and it’s hard to believe he is (by far) our highest paid player. People sometimes lay into Özil for his performances but he’s a superstar signing on superstar wages – he’s treated like a World Class player but doesn’t perform like one. Badly mis-kicked a golden opportunity when Lichtsteiner cut back from the left, badly mis-controlled a ball when Ederson kicked it out to him (which he should have scored from) and to cap it all he got in the way (and got caught offside) when he should have left it and let the onside Lacazette go through on goal. A performance which stank out the entire stadium. Not convincing at all and struggled to impose himself on the game. Definitely had the contract situation hanging over his head and you could tell from his performance. Was in the Number 10 role which was strange considering Mesut Özil is better suited to that position so it’s unclear if Unai Emery is appeasing him so he’ll sign a new deal? Isolated up front but should have done better with the opportunities he had. The lack of service from Özil, Ramsey and Mkhitaryan didn’t help but with his pace and movement should have given Manchester City a few more problems. Did what was asked of him and looked like a solid player who Arsenal will need over the coming season. Wasn’t afraid to get involved and more importantly get in Manchester City’s faces, which is something we lack considering we’re far too much of a soft touch. Look forward to him playing more although right back isn’t a position we’re struggle for numbers unfortunately, it’s the other side. Looked lively when he came on and more of a goal threat than Aubameyang. Had a couple of decent half chances which if taken, could have changed the game. Emery will certainly have something to think about come the Chelsea game and he has definitely put himself in the frame to start that match. Played like he has a point to prove. Did well for his 20 minute cameo and looks a tidy player. Hard to really evaluate his impact considering the number of minutes we played but the sooner he can start instead of Granit Xhaka, the better. Many Positives For Unai Emery But Mesut Özil Needs To Be Sold! Arsenal lost 2-0 in their opening game of the 2018/2019 season and although we were outplayed at times, the future looks positive. The young Frenchman, Matteo Guendouzi, looked excellent in central midfield and although he was a bit rash at times, overall he was fantastic – making important tackles, getting around the pitch and putting in a real team performance. Lucas Torreira looked good once he came on to replace Granit Xhaka, and when introduced Stephen Lichtsteiner looked like a handy addition as well. Manchester City where as you would expect – a team with seasons under their belt with an experienced manager, who were clear winners in the Premier League last year. And Arsenal, were also where you would expect – a team in transition after a seismic change this summer. There were some positives we can build on, but also a few negatives. Mesut Özil was playing as if he was asleep and if he was more alert we could have scored a couple of goals – the first opportunity went begging after his mis-control went straight into the hands of Ederson and the second after he got in the way and got penalised for being offside when Lacazette was clean through. And then there was the chance he had from a Lichtsteiner cut back, which he. managed to miss completely and fall over in the process. With Aaron Ramsey in the team, the side doesn’t look balanced with Özil in the team and if you ask me which one should make way, it has to be the German (former) international. Positives For Unai Emery But Mesut Özil Needs To Be Dropped!